We are running a new text messaging service (MJOG). This service enables you to cancel your appointment by replying ‘CANCEL’. 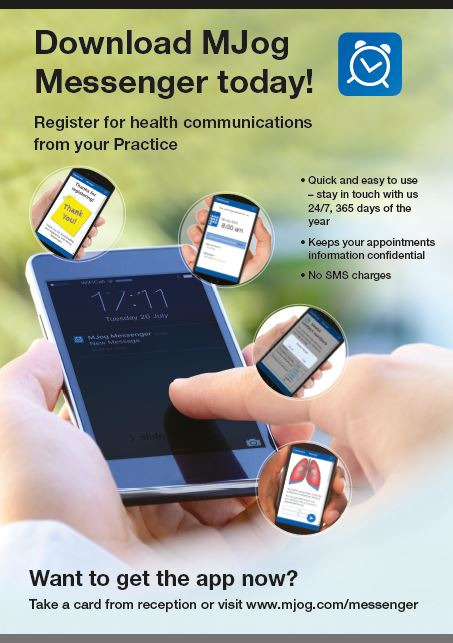 You can also respond to practice questions and can receive reminders for your annual reviews. We now have a staff notice board in our reception area to ease patient access and to allow patients to become familiar with the team. After many years of accepting repeat prescription requests over the telephone, we have taken the decision to stop taking prescription requests over the telephone. The first and most important reason for this is safety. The practice has experienced a number of incidents resulting from unclear requests for medication over the phone – there have been discrepancies between what the patient believes they have ordered and what has been actioned by the prescription clerk, and at times there has been confusion over drug names. Written or online requests are much more accurate and therefore the opportunity for error or misunderstanding is reduced. In addition, we are advised by NHS England to encourage patients to sign up to Patient Access which is a system by which patients can request their medication and make appointments on line. Online requests avoid potential confusion, as well as transcription and medication issue errors. On the Internet – Patient Access is the safest way to order your repeat medication. This service provides a patient with a list of their repeat medication and a request can be sent direct to our clinical system. There is also the option of leaving a message for the GP. We would be happy to demonstrate the online system if required. If you would like to use this system, you would need to fill in a request form, and provide photographic evidence in person (currently we can only accept a passport or photographic driving licence). If you are unable to provide a passport of driving licence, a GP may be able to vouch for you. In person – using the tear off slip on the right hand side of the prescription indicating clearly which items are required, and posting it in the prescription box at in the waiting area. By post – using the tear of slip on the right hand side of the prescription indicating clearly which items are required, and posting it to the surgery. Via your pharmacy – many pharmacies offer a service whereby patients can order their repeat medication via the pharmacy. Each pharmacy in the area offers a range of methods for ordering repeat medication, and we believe that most pharmacies will currently accept a request over the telephone. You may wish to discuss this with your usual pharmacy. If you would like any further information about the ways in which prescriptions may be requested, please ask one of our reception team. The practice has made changes to our telephone system to try and improve access. Any feedback would be grateful. Please contact Louise New Practice Manager to discuss further. In December 2018, King's Medical Centre supported St Mary's Church by organising 'Soup & Socks Appeal'. This is following on from Harwood Close successfully donating for the past two years! We would like to say a big thank you to all patients that donated to this great cause. 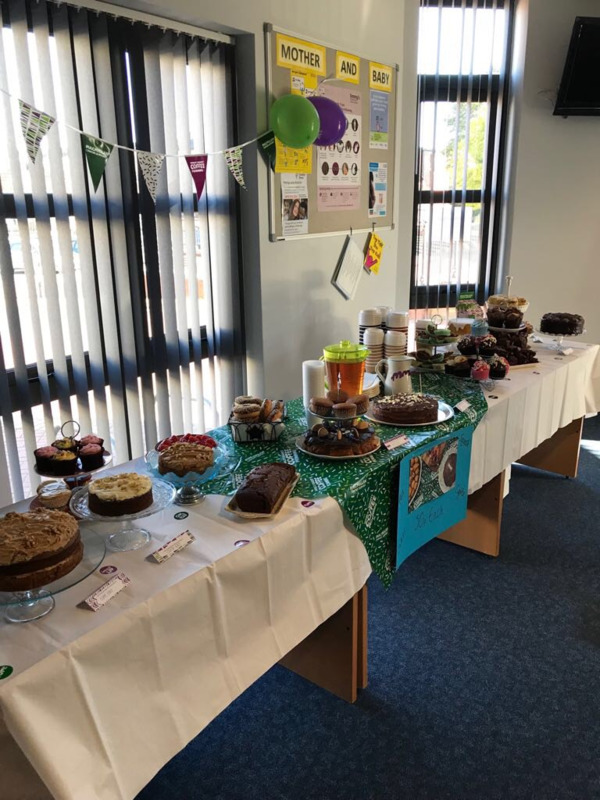 Thank you to all who donated cakes and money for our MacMillan Coffee Morning! All together we raised £240! !